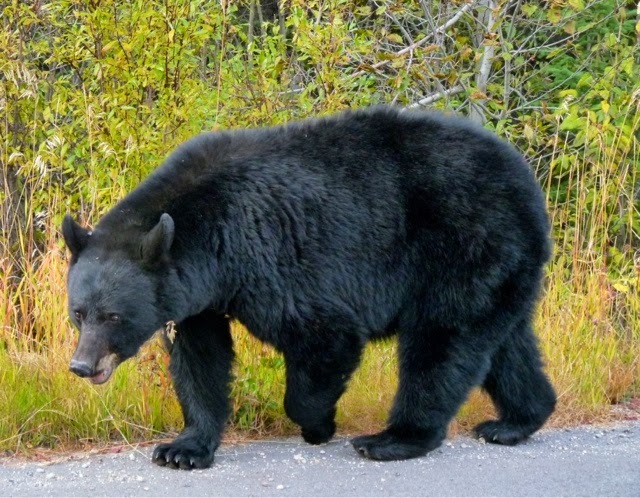 I am currently in the magnificent Canadian wilderness and yesterday came across this black bear while driving in the Rocky Mountains........so incredibly exciting to see such an amazing animal up close. He was totally nonchalant and seemed oblivious to our presence!!! !